Ahhhhh love this. I love this cause it’s absolutely PERFECT! This recipe took me years to perfect. YEARS! There is so many (TOO MANY!) 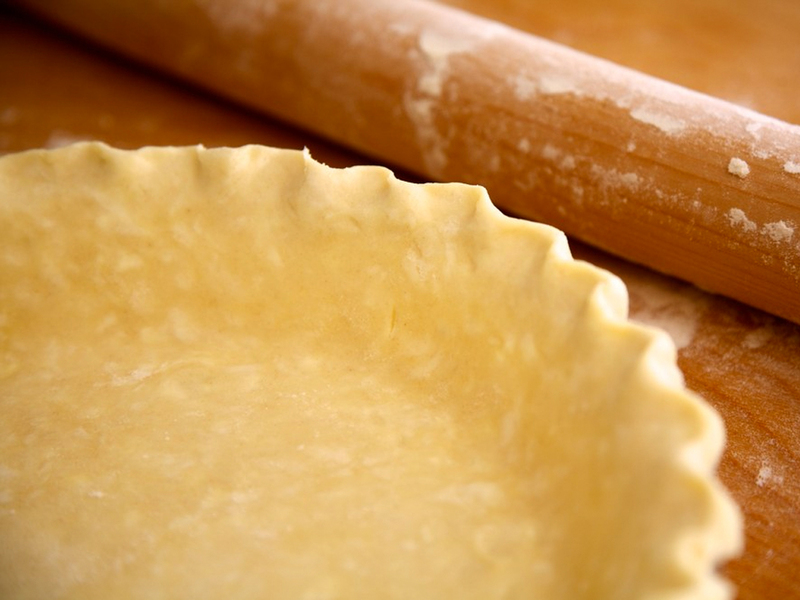 pie crust recipes floating around. But this one is a solid. You cannot mess it up. Moist, beautiful crust. Cooks perfectly and tastes even better. Perfect for pies, tarts, and more. Slowly cut in the butter and lard. In a small bowl, whisk the sour cream with the ice water. Slowly add to the large bowl. Don’t over mix. This dough can stay in the fridge for up to 3 days. Before using it, take out of fridge and allow to reach room temp. Don’t use it cold it hardens and become difficult to use. I use this recipe for pie, mini tarts, butter tarts and find it is just the best one. I use it for everything that needs a crust! Bakes at 375 degrees F for about 20-25 min or until crust is golden.